What is "fatty liver" disease, or NAFLD? What is “fatty liver” disease, or NAFLD ? Fatty liver, or Non-Alcoholic Fatty Liver Disease (NAFLD) as it’s medically known, is a term used to describe an accumulation of fat in the liver. NAFLD covers a spectrum of liver conditions, ranging from simple steatosis to steato -hepatitis (NASH) and cirrhosis. My Liver Exam, in collaboration with Liver4Life, tells you what it entails. NAFLD is usually seen in people who are overweight or obese. But first, what is the definition of obesity? The term NASH (Non Alcoholic Steato Hepatitis) is used when the liver cells can become inflamed, due to the presence of fat for a prolonged amount of time. NASH may progress, like many liver diseases, to cirrhosis and liver cancer. 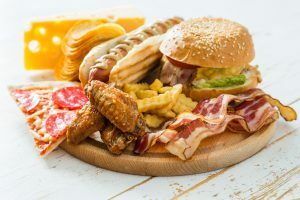 What are the risks linked to NAFLD? An obsolete term for cells that are infected with certain viruses. It results in conspicuous swelling of the cell and cytoplasmic vacuolation. 3 Formation of excess scar tissue when hepatic cells are have been damaged. Uncontrolled regeneration of the liver. It combines scar tissue (fibrosis) and cell clusters that do not respect the normal architecture (nodules). It seems that the majority of patients with fatty liver experience very few silent symptoms. They may complain of extreme tiredness, feeling sick and a pain around the liver area. If you are worried about Non Alcoholic Steato-Hepatitis/ fatty liver or the health of your liver, it’s a good idea to visit your GP and request a liver function test. He/she is the only one able to determine whether further investigation is required. In conclusion, we know that NASH and NAFLD are major issues. Seems like excessive alcohol is not the only cause of liver disease, as people might think. As a result, to avoid a fatty liver, the first step is to adopt a healthy way of life. It combines a healthy diet, to a regular physical activity. For more information, you can check our page about liver prevention. Associated content : What is liver steatosis? Hello Diana, thank you for your comment. Unfortunately, we cannot give you medical statement, because we don’t have the legitimacy for it. Our advice is this : you should see your GP or hepatologist, to evaluate your liver, and see if your fibrosis stage is reversible. if you know that you’re stage 3, that means you’ve already had a liver exam. The person who did the exam must inform you about the next steps. If I have fatty liver disease is it possible 2 reverse it or cure it on my own? Hello Wendy, thank your for your question. To avoid your condition to get worse, you can adapt your lifestyle, by having a healthy diet for example. But you must have an appointment with your doctor first, and follow his/her instructions. Do note hesitate if you have more questions.